The Shadow. II is a 3-slot pancake style holster with thumb snap closure. It has a low-profile design and ultra-high ride that conceals even full size semiauto pistols. Made from premium grade, full grain leather, the Shadow is contour molded and precurved to fit the body for maximum comfort. 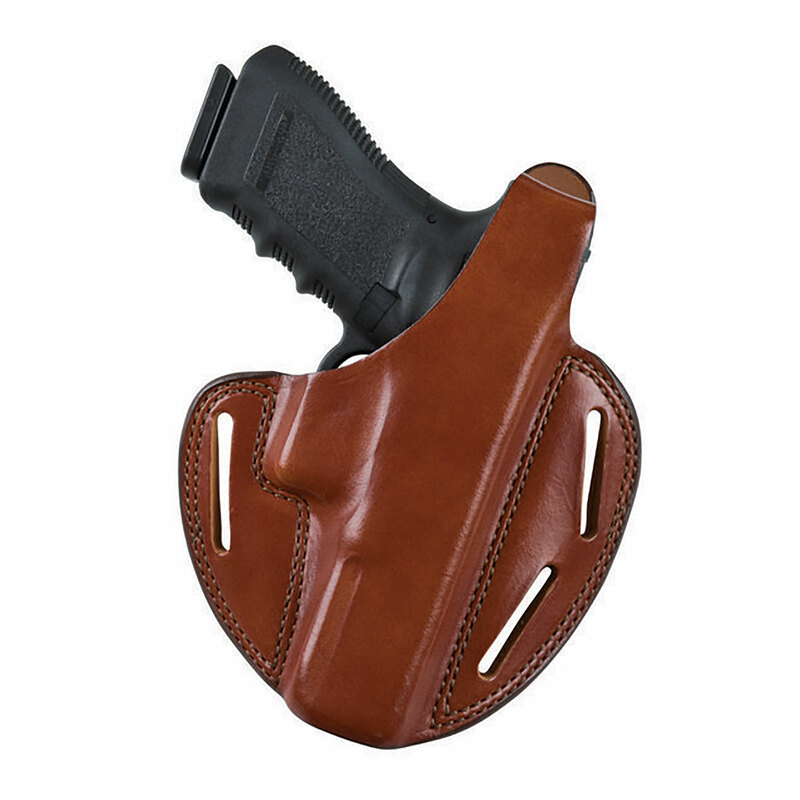 The 3-slot design allows the user to vary the carry angle, wearing the holster in either the strong side or cross draw configuration. It features an open muzzle, reinforced thumb break and the belt slots fit up to 1.75" (45 mm) belts.